Mafia City 1.3.578 Apk for android Mafia City is a Strategy Game for android download last version of Mafia City Apk for android from revdl with direct link Mafia City..
Army Men Strike 2.94.0 Apk for android Army Men Strike is a Strategy Game for android download last version of Army Men Strike Apk for android from revdl with direct..
Sky Clash: Lords of Clans 3D 1.50.4651 Apk for android Sky Clash: Lords of Clans 3D is a Strategy Game for android download last version of Sky Clash: Lords of.. Hero Defense King 1.0.29 Apk + Mod (Unlimited Money) for android Hero Defense King is a Strategy Game for android download last version of Hero Defense King Apk + Mod..
Game of Thrones: Conquest 2.4.238671 Apk for android Game of Thrones: Conquest™ is a Strategy Game for android download last version of Game of Thrones: Conquest™ Apk for android from..
World at War: WW2 Strategy MMO 2019.4.0 Apk for android World at War: WW2 Strategy MMO is a Strategy Game for android download last version of World at War: WW2..
Boom Beach 37.81 Apk For Android Boom Beach is a strategy game for android. 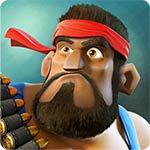 Boom Beach is a game that players can create their own fort on a Pacific island..